Classical music is traditionally thought of as a quiet, reserved, and dignified world. Formal wear and polite silences are the standard, and it would certainly be considered a faux pas to dance around during a concert or yell "play freebird" at the orchestra . However, every once in a while the cummerbunds and formalities are traded for boos, jeers, and fist fights in the aisle. The "classical music riot" has been a consistent enough phenomenon over the years to warrant its own Wikipedia article - the most famous example being the Paris première of Igor Stravinsky's ballet The Rite Of Spring in 1913. The Rite Of Spring caused such a disturbance that the police were brought in at intermission, but were unable to quell the rioting audience. The publicity of the première, combined with it's groundbreaking tonality and genius, have made The Rite of Spring one of the iconic musical works of the twentieth century. It's the end of September and the weather and temperature have settled into the next season: Fall. Auditions everywhere are being held, and orchestras and ensembles are beginning to start again as well. There are a few things you can do as a player to create better sound, and keep your instrument in its best mode. Now is the perfect time to do it! Check to see if your bridge is still on correctly. I was preparing for an audition the other day, and while practicing I noticed that sometimes my strings gave out a false sound. With an upcoming audition, I wanted all the sound I played to be fluent and pure. But my bridge was leaning forward, out of position and preventing me from creating that sound. The vibration of the bridge is what translates the vibrations of the strings to the instrument. After I straightened my bridge, my violin played much more like its old self. I didn't have any more distractions for my audition, which helped me focus on playing. If you're not comfortable adjusting your bridge, bring it to your violin shop, where your luthier should be more than happy to help. You'll need your luthier for the next few steps as well. Alisa Weilerstein is an internationally renowned cellist and a 2011 MacArthur Fellowship award winner. 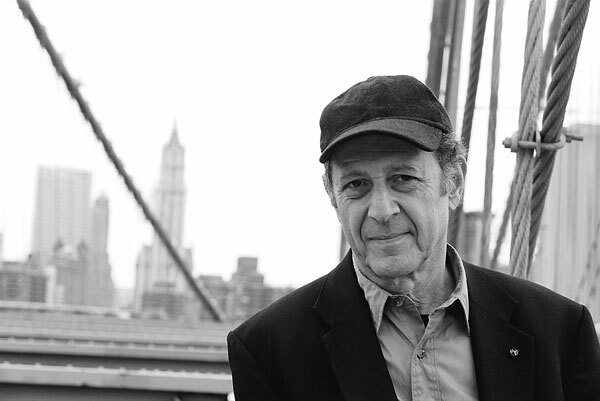 This award, given each year to between 20 and 40 U.S. residents, is known colloquially as the "genius award," and is presented to individuals of any age or field that "show exceptional merit and promise for continued and enhanced creative work." Alisa certainly fits these qualifications, both for her exceptional skills as a cellist and her drive to collaborate and work on new music with contemporary composers. Born to musical parents (her father is the 1st violinist of the Cleveland quartet and her mother is a well known pianist), Alisa picked up the cello at age 4, and made her debut at the age of 13 with the Cleveland Orchestra. In addition to her orchestral work she plays in the Weilerstein Trio with her parents, which resides at the New England Conservatory. Eschewing the typical route followed by most musical prodigies, Alisa went to Columbia University and received a bachelor's degree in Russian history, at the same time keeping up a hectic performance schedule. Do you find classical music boring? Think it's too old school and just plain dull? I'm a classically trained violinist, but personally, I would rather listen to hip-hop music than classical music any day of the week. Yet, one listen to any of Anne's numerous recordings and even the greatest skeptic will be moved, as you can literally feel the emotion emanating from Anne's awe-inspiring performances on her violin. 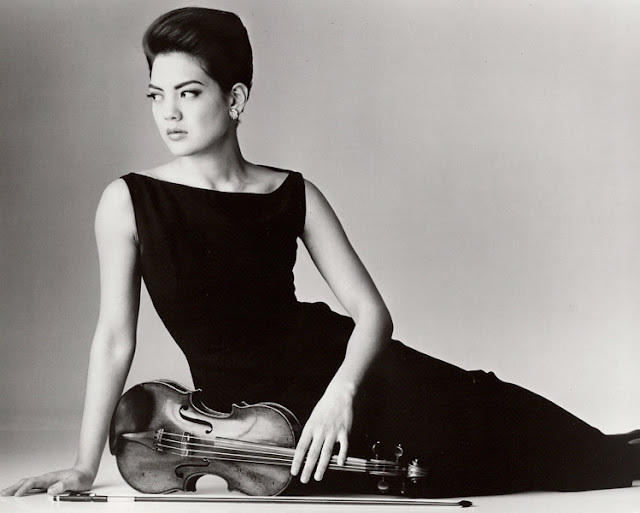 Speaking of her violin, Anne Akiko Meyers owns two pretty awesome Stradivarius violins. TWO! The baroque period lasted from approximately 1600 to 1750, and is famous for names such as Bach, Handel, and Vivaldi. These world-renowned composers were defined in part by the venues in which their music was played. Musical performance during the baroque period occurred primarily at court in front of royalty, or in churches. As a result, the auditory demands placed on baroque instruments were lesser than they are today - instruments didn't need to be as loud, or project as far as they do now. During the mid to late 1700's, as western music transitioned from the baroque to the classical period, public musical performance outside of the church or court was on the rise. Public orchestras were becoming popular, and the spaces in which music was performed proliferated and grew larger, both in terms of audience as well as sheer physical size. As a result, the technical specifications of musical instruments went through an adjustment period, and it was this transition that gave rise to the modern stringed instruments we use today. Modern violinists needed to play louder, as the venues in which they performed were growing larger and getting packed with audiences. Thanks to the development of the modern bow by Francois Tourte and others, string players were able to use their bows to greater effect, but violin makers needed to match these improved bows with louder, more playable violins. Additionally, the steady inflation of concert pitch, which rose gradually through the baroque and classical periods, necessitated modifications to stringed instruments that could accommodate the higher string tensions. Italian violinist Giovanni Batista Viotti deserves a great deal of credit for the change to modern instruments. He played, quite successfully, on a Stradivarius with many of the following modifications, helping spur the change to modern instrument construction. September 11, 2001 is a day in America that will never be forgotten. It will be forever etched into our collective psyche, the way a knife wound creates a permanent scar in flesh. Almost anyone who was cognizant at the time will be able to tell you exactly where they were when they first saw, heard, or learned about the attacks that occurred on that day. It is only natural that people find ways to commemorate the event, or translate the feelings and actions of that day into some kind of lasting form. My mother is a piano teacher, and for as long as I can remember, our dining room, where the piano is located, has been strewn about with stacks of sheet music. The situation becomes particularly bad around the holidays, when piles and piles of music for students to "test drive" end up blotting out our dining room table, and you have to maneuver with care to avoid knocking down 20 copies of "Rudolph the Red Nosed Reindeer." I could attribute this problem to a lack of organization unique to my mother, but I've known quiet a few musicians in my life, and most of them are disorganized when it comes to sheet music. They cram it into tote bags, pack it into folders that are barely holding together, or jam it into the compartments of their instrument case. Under these conditions, trying to track down a single xeroxed sheet of paper can be a nightmare. We previously wrote a blog about music stands that highlighted the differences between poor quality wire stands and sturdier, better looking wood music stands. Many musicians put up with infuriating wire stands simply because they are unaware of alternatives. The same is true for sheet music storage - you don't necessarily need to keep stacking your music on the floor or cramming it into tote bags or folders. 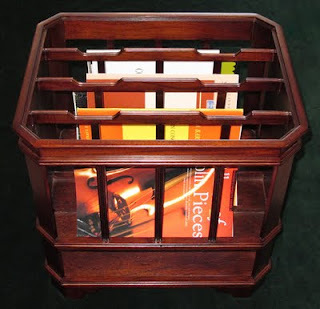 A piece of furniture called a "Canterbury," popularized in England during the 1700's, provides an elegant and practical solution to sheet music and music book storage. Here at Fein Violins we often get feedback from our customers regarding the instruments they purchase. Nothing makes us happier than being able to help someone achieve that perfect sound, or track down an instrument with just the right look or feel. Every so often we get feedback from a customer that is particularly personal or moving, and it is just such a story I want to share with you today. About a year ago, Jim Y. purchased a violin from us that connected back to his early life growing up in China during the cultural revolution, and his longing for a particular violin in a department store window that was, sadly, financially out of reach. 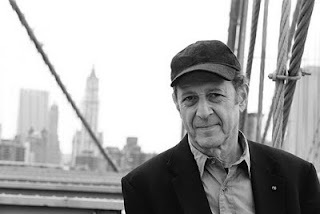 What follows is Jim's story, reproduced verbatim, so that he can tell you in his own words how special a new instrument can be. Thank you for your email. It has been a very pleasant experience when talking with you over the phone, and reading your emails. It's not like dealing with a sales person or business owner, but like talking with good friends. I don't want to waste your time reading my emails, knowing you must be busy with the business. Still, I just can't help telling you my gratitude on getting the wonderful violin from you. From the following story, you may get a sense of how elated and gratified I am to have stumbled upon the people and the violin from Fein Violins. I had genuine interests in music as a kid. As teenager, I was among the millions of mid-schoolers to be sent to the countryside to do farmwork (so called by the then president Chairman Mao, to "receive re-education from the poor and middle class peasants"). In the countryside, we toiled with all sorts of farmwork every day and saw no future. The first Monday in September is celebrated as Labor Day in the United States. This annual holiday which brings families together and marks the end of summer has been around since 1894. The year before this holiday started, Saint Paul, Minnesota got a visit from a great composer. A special place in our state inspired Antonin Dvorak to create beautiful music that we still listen to over 100 years later. It's time to recognize Dvorak's composition and spend part of our holiday celebrating Dvorak's love of Minnehaha Falls. On September 5, 1893 Antonin Dvorak came to Minnesota. Dvorak had traveled from Bohemia to the United States at the end of 1891. During the summer of 1893 Dvorak was living in Spillville, Iowa and had recently finished his ninth symphony, "Symphony in E Minor (From The New World)." He was looking for peace and quiet away from the press. 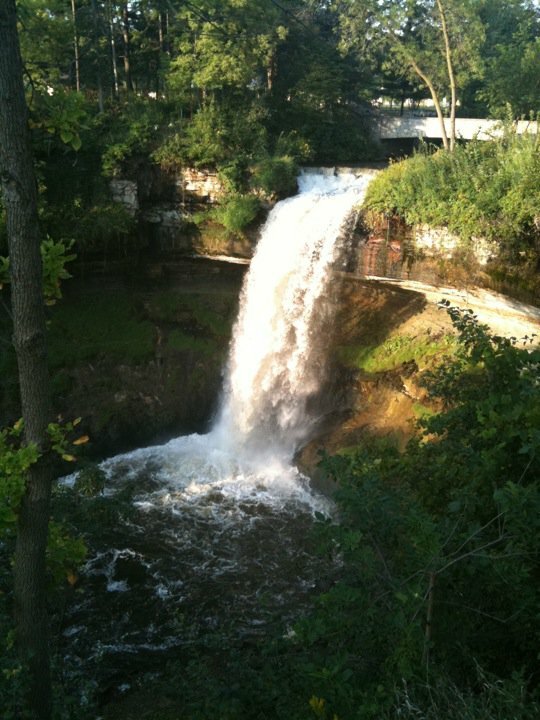 He was also enamored with Minnehaha Falls from a poem written by Henry Wadsworth Longfellow. The famous poem, The Song of Hiawatha, had been translated into the Czech language a few years earlier. Dvorak traveled to St. Paul from Spillville, Iowa by train and then hired a carriage to take him across the river to Minneapolis and Minnehaha Falls. Dvorak described the area as being "so intensely beautiful that words cannot describe it." Luckily for us, Dvorak's talent wasn't for words, it was for music. Dvorak said that he fell into a trance-like state staring at the shimmering water, and in his mind, heard the song of a Native American. Standing next to Dvorak was his assistant and translator, Josef Kovarik. Dvorak leaned over to Kovarik and said "quick, lend me paper and a pencil." Kovarik, having no paper, gave Dvorak a pencil only. Dvorak, on his shirt cuff, wrote down the melody that possessed his mind. The melody later was dubbed the "Minnehaha Melody" by Fritz Kriesler. This story was written by one of our visitors who came into the shop with a violin that he had built many years earlier. He was in his early 90's when he came in and has since passed away. I was invited to play the violin he made at his memorial service, which was an incredibly touching affair. I thought it would be a nice tribute to publish his story here. My son Douglas and I spent a nice father and son day. It was our day even if some of the time was spent on a doctor call. Life is almost too busy…so busy that we miss some of the simple things in life. Doug and I hadn’t spent a day together for quite a while. It was a day to do as we liked. We left Elk River in late forenoon and headed for St. Paul after getting the doctor behind us. Doug had visited some small but interesting violin shops in St. Paul and had talked to the managers about his dad’s home-made fiddle. They wanted to see it. As we rang the “ding-dong bell,” two ladies came to meet us. They were very anxious to see Doug’s dad’s home-made fiddle.